This past weekend we packed a couple of carry-on bags (to save $15/each on luggage-shame on you Continental) and caught a direct flight to Ft. Lauderdale to see our grand kids--and their parents. 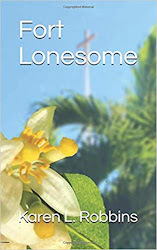 Florida is not a pleasant place to be this time of year. It's hot and steamy thanks to the intermittent showers and sunshine. One sends the temperature soaring and the other makes the air so thick you wonder if you can inhale. But the airfare is a little cheaper and it just proves how much a grandparent will go through to get those little hugs and smiles. 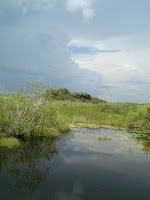 While we were there, my son suggested we go to his favorite place, the Everglades. 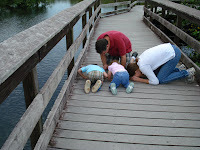 That brought squeals of delight from his son who obviously has the same fondness for alligator viewing. So we drove the short distance to the Everglades National Park and arrived just in time for a downpour. Undaunted, we drove around a bit waiting for it to subside. The rain never lasts long there unless it's a hurricane. Once the rain let up, we pulled into the parking area for the Anhinga Trail. This is the family's favorite area to walk and view. 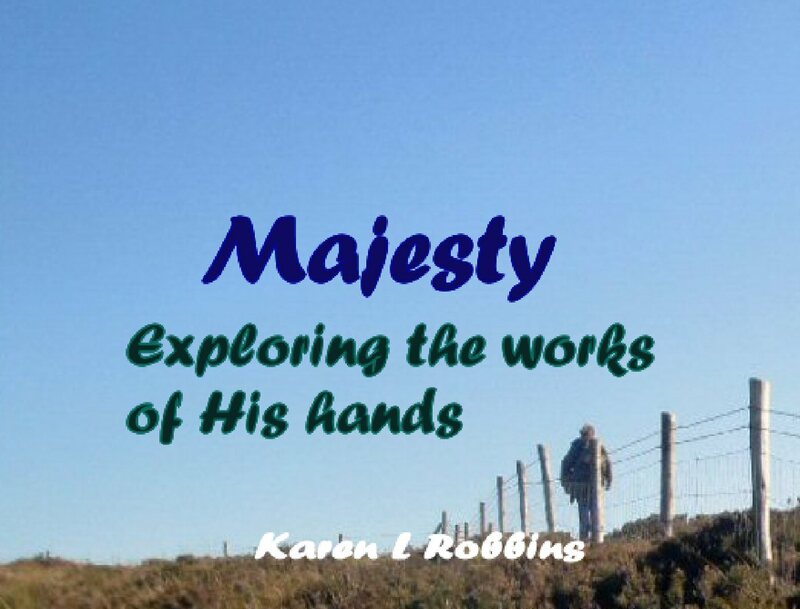 It starts as a trail and then ends up on a boardwalk that takes you out into the swampy area. This day however, it was not swampy so much. It is more like a lake during the rainy season in Florida even though it is actually a really big river that flows very slowly south. 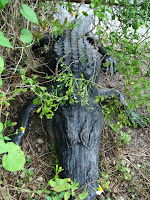 There was less likelihood of seeing alligators since they could spread out into the plentiful w ater. There was more likelihood of mosquitoes. 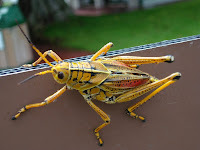 Our nicest encounter with insects was this huge grasshopper that must have been at least 5 or 6 inches long. There were a few butterflies but none that posed as nicely for me as this colorful fellow did. Ah, yes. The mosquitoes did not disappoint. While we sprayed amply, they still swarmed. 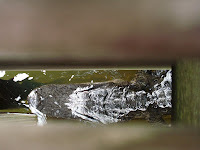 But once we began to spot some alligators, we thought less of the nasty pests and enjoyed the up close and almost personal encounters with the reptiles. We spotted one enjoying the shade of the boardwalk or laying in wait for an unsuspecting morsel to wander near him. We weren't sure which. 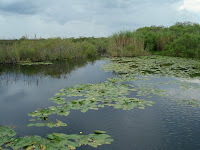 A trip to the Everglades is a bit more enjoyable in the winter m onths when the temps are nicer and it rains less. The alligators congregate more because the water is shallower. We especially enjoy the evening visits our son has taken us on when we can shine a light out into the glades and see the eerie neon orange eyeballs staring back at us. If you must go in the summer, arm yourself with lots of repellent, long sleeves and pants. It's still worth the trip and the memories linger longer than the itchy bumps.